The Lead Auditor training programme has been continuously certified since 1985; it is provided by IQM Group NZ Ltd. The course contains three modules: QM, AU, and TL. Additional programmes in 2019 covers Health & Safety (OH) and Environment (EM). There are several new case studies and scenarios. This programme has been designed for candidates with diverse industry backgrounds and qualifications. It provides positive outcomes for the employer and gives the candidate confidence to lead audits at first, second, and third-party levels. Participants will be able to understand the holistic role of auditing across all business functions/processes and thus meet the additional expectations of auditors and auditing bodies around ISO 9001:2015, ISO 14001:2015, and ISO 45001:2018. The course is built extensively around ISO 19011:2018 and brings candidates up-to-date. The programme is certified by Exemplar Global International as a competency-based course. Participants will be able later to undertake a full skill examination with Exemplar Global should they so wish. 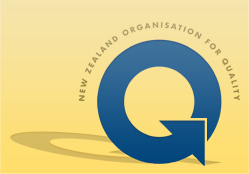 All candidates have ongoing access to both IQM Group NZ Ltd and NZOQ for advice and reference material at generally little or no cost. No other course keeps you up-to-date with tools and techniques for modern audit / assessment practice. From Risk Management, to Sampling, to Remote audits, plus the ongoing changes after the course. We even loan you standards! For those with multiple roles in management this course provides a sound understanding of Audit practice in all situations, then this course is for you. Over 95% of course participants have rated this course excellent value for money. 'Blended' approach of online learning for theory, plus two-days of practical face-to-face training. Management Systems Auditing can also be tailored to suit specific industry requirements for Corporate in-house training. For more information, please contact Tess Stewart. Based on a course internationally presented since 1985. The first course from the southern hemisphere to be approved by the IQA. Over 36 hours contact time with presenters. A full set of course notes, and references provided on line. Morning, afternoon teas and lunches. Extensive involvement in case studies. A full set of course notes is included in the training fee. A pre-course assignment is required. A notebook computer will be helpful during this course. All delegates are expected to have an understanding of the content, application and implementation of management systems and one or more of ISO 9001, 14001, or 45001. Pre-course readings covering these topics will be provided prior to the course commencement with the pre-course assignment. Some applicants, because of previous training and experience, can ask for RPL or RCC covering either the QM or AU modules; the classic example is with the NZOQ/Open Polytechnic Certificate in Quality Assurance. A small charge is applied to cover RPL and RCC processes. Continuous assessment criteria related to attitude, performance and time keeping related to the course objectives and assessed daily by tutors. Requirements for industrial and audit skills as defined by the registration body. Morning, afternoon teas and lunches are included in the course fee. As each of these courses has a high workshop content, the numbers are limited to 20 for each course. A cancellation fee of 20% applies for all cancellations made two weeks prior to the course dates. A cancellation fee of 60% applies for cancellations made after this. Substitutions may be made at any time.